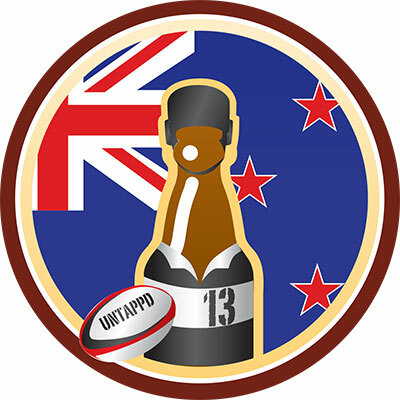 Garage Project are consistently producing some of the best Kiwi beers that make it to our shores. I was shocked to find out that this is the first of their beers that I'm reviewing in full - I drink their beers all the time! 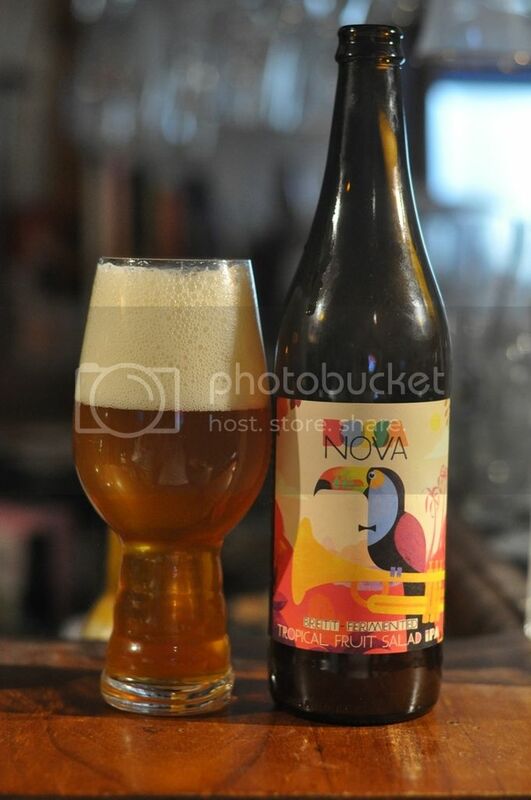 Anyway, Bossa Nova is their 2015 GABS beer, now released in bottle form. I thought long and hard about what to classify this beer as. Garage Project on the bottle call it a "Brett fermented tropical fruit salad IPA". So it's got sour elements, fruity elements and hoppy elements. I settled on a fruit beer, which can be sour, fruity and/or hoppy, as it doesn't seem to fit nicely in any other broad style. Feel free to share your thoughts on this classification. Bossa Nova pours a very interesting golden colour, which almost shines as the light catches it. The head is quite voluminous, but has medium sized air bubbles in it. The head is reasonably long lasting and laces the glass well, leaving a thick webbing of foam behind. It's a really nice looking beer, I can't wait to get into this! Onto the nose and it's absolutely punches you in the face with tropical fruit aromas. All the usual suspects are there; mango, grapefruit, pineapple as well as a distinct lime aroma. The brett component isn't hugely evident, although as it warms you can certainly smell some. Thankfully there is more brett to taste, although again it definitely plays second fiddle to the tropical fruit and lime flavours from the hops and added fruits. The other element that I hadn't noticed on the nose was a nice spicy quality, which permeated the whole beer. There is just a touch of bready malts there for balance. Overall, I thought this was a wonderful beer. Until I read more about this beer I didn't realize quite how much fruit was added to this beer, alongside the Galaxy, El Dorado, Nelson Sauvin and Equinox hops. It really has given the beer a wonderful fruitiness, which isn't at all sweet. The brett brings a little tartness to the beer that isn't overly strong - maybe a good introductory sour beer? I'd love to drink this again on a hot afternoon!